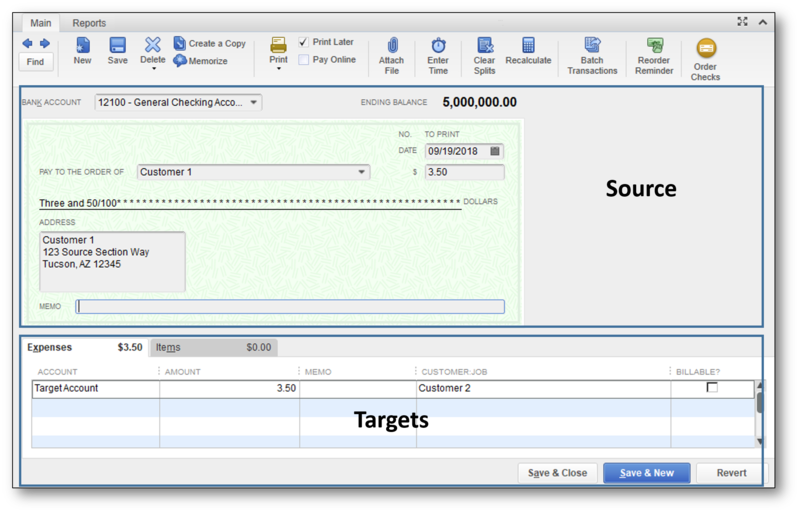 QuickBooks Online uses a concept called 'Source' and 'Targets' to build transactions and reports. Understanding this concept will help you create more effective reports and faster advanced finds. What are Source and Targets? The Source of a transaction is the summary information about the transaction and includes the source account, source name, source memo, source amount, etc. Each element of source data occurs only once in the transactions. There are a few transaction types that can have only one target (i.e. Payment, Transfer). Each element of the target data set can appear multiple times in the transaction. In an invoice, the target names are always copied from the source name. In an invoice, the target numbers are always copied from the source number. At the bottom of the page, select More. A summary report (i.e. Sales by Customer Summary) contains only source data. A detail report (i.e. Sales by Customer Detail) contains only target data. 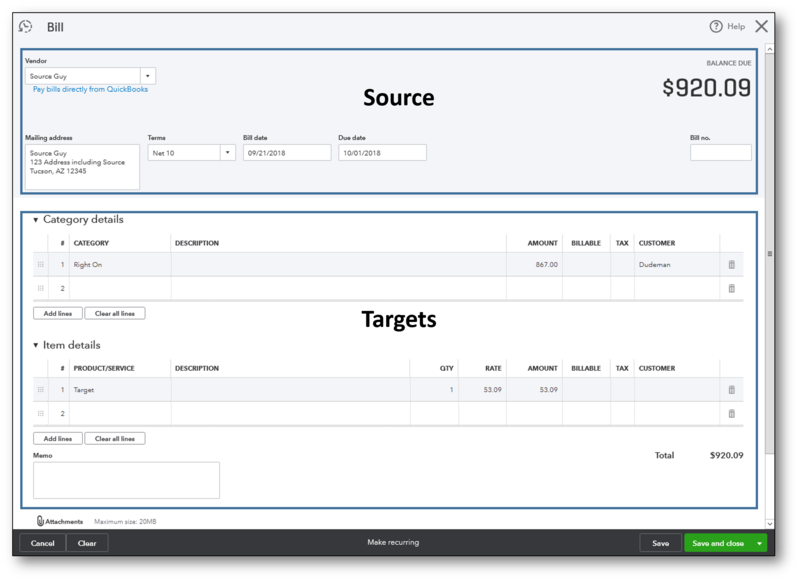 Filters allow Source and Target data into a report to show the information that you need. If a transaction matches the selected filters, it is included in the report. If a transaction does not match the select filters, it is excluded from the report. Embedded filters are part of the report programming. They cannot be changed when you customise reports. The Invoice List Report has an embedded filter to include only invoices. You cannot include other transactions. The Stock Valuation Summary Report has an embedded filter including only Stock Items. The A/R Ageing Detail report has an embedded filter that excludes transactions that don't affect Accounts Receivable. Default Filters are set when you first run a report, they can be changed when you customise reports. The Sales by Product/Service Detail report has a default filter of all sales items, but you can change the Product/Service filter to include other item types. You cannot change the default filters until after a report is run or the Customise window is displayed. Product/Service- Change which items show up on the report. Only transactions with selected items will be included on report. The report is blank because Accounts Receivable (A/R) and Accounts Payable (A/P) are accrual accounts; you cannot report on them on a cash basis. A journal entry, if the first line has an income or expense account. An Stock adjustment, if the offset account is an income or expense account. Sales and purchase transactions that have Stock Items. Sources include Accounts Receivable accounts on invoices and Accounts Payable accounts on bills. Targets include bank accounts on payments and bill payment cheques. The General Ledger displays both source data and target data because it draws on all of the data in the company file. Source data from open invoices, statement charges, and credit notes.